It seems "impossible is nothing" for rapper Kanye West. Adidas announced it is extending its partnership with West on a new line of Yeezy branded shoes, clothes and accessories. The new "adidas + KANYE WEST" line is the biggest partnership Adidas (ADDDF) has ever launched with a non-athlete. The line will have products for men and women and will expand beyond fashion wear into athletic gear. Adidas is also expected to open special retail stores centered around the Yeezy line. The company announced the expanded partnership on Wednesday and applauded "West's pioneering aesthetic." Adidas and West first worked together on the Yeezy for Adidas Originals shoe about two years ago. "This partnership illustrates that anyone with a dream can dream without limitations," West said. 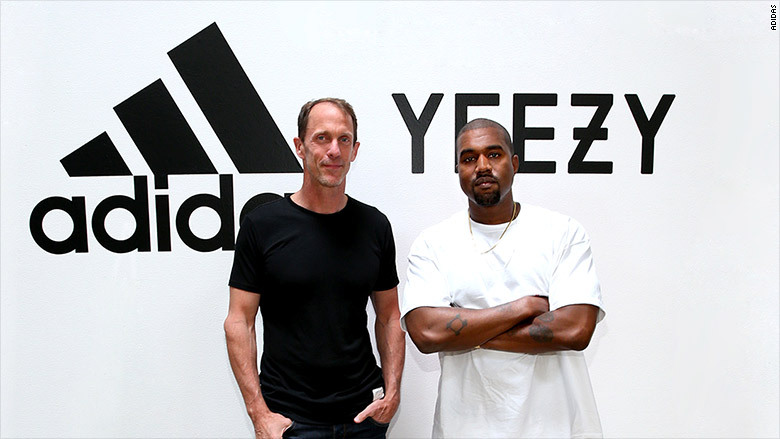 "Kanye is a true creator who has the ability to see things others don't," Adidas CMO Eric Liedtke said. "With adidas + KANYE WEST we are exploring new territories by opening up the sports world to Kanye's creativity." Adidas said that West's first fashion line presented in February 2015 as Yeezy Season 1 cemented its collaborative partnership with the rapper. 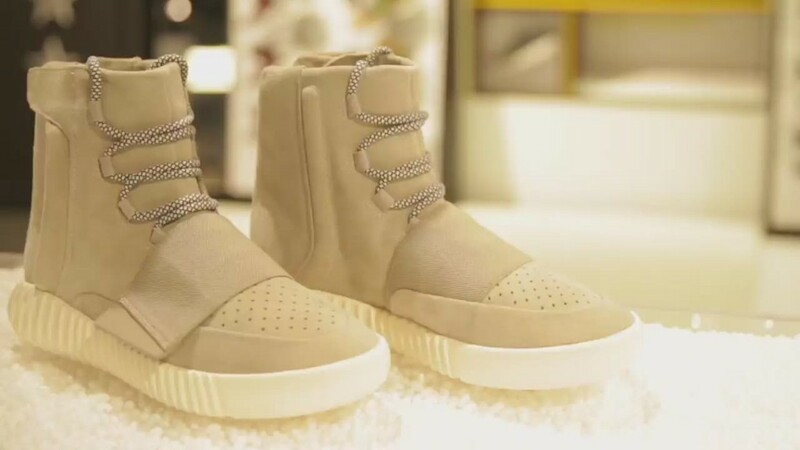 Adidas has already released two popular Yeezy-branded shoes: the Yeezy Boost 750 and the Yeezy Boost 350. The shoes have been in such demand that West's wife, Kim Kardashian, has seemingly tweeted to people unable to secure their own pair. In February, West tweeted about how much his partnership with Adidas meant to him amid a storm of messages about how he was broke. He also tweeted that "perhaps Adidas will do some big LeBron style deal."